Blue Ridge Music Academy offers a full-service recording facility that utilizes the industry-standard Pro-tools recording system. A professional engineer will walk you through the process of producing a CD no matter how large or small the project. We have an ever growing list of mics and outboard gear to accommodate any project, from country, to rock, bluegrass to jazz. We especially love to work with breakout singer/songwriters to produce your creative vision into a tangible product. The studio is operated by lead engineer Chris Miller, who is an accomplished musician himself. Chris brings a lot of great experience to the table, and can help you through all the creative parts of the project. Chris also has experience in marketing creative projects, so we can help you achieve your goals in getting your music out and heard. We can help with copyrighting your songs, help develop a business plan, and every level of the process past the music production stage. Blue Ridge Music is partnered with Disc Makers, the premier CD and DVD duplication outfit around, so we will work with you on getting the discs printed, and designing cover art. We have a preferred list of world-class musicians to help fulfill any needs as far as the music goes. Your experience with recording will be pleasant, professional and within budget with us. $65.00 per hour for projects estimated under 4 hours. $60.00 per hour for projects estimated over 4 hours. Pre-pay option for 10 hours or more is $55.00 per hour. 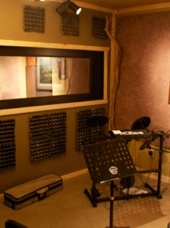 Studio Prices include rental or space, equipment and engineer. Payment is required after each session. 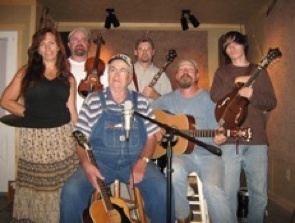 The recording studio is dedicated to David Nichols a student of Blue Ridge Music. Through his friendship, encouragement and generosity he has made it possible for many of our clients to have access to a professional studio. A special thanks to him for all he has done.